At HVACTOOLS, we understand our greatest asset is customer loyalty and this is the foundation for all our business practices. We deliver the best total solution for our customers by getting to know and understand the people we sell to and the products and services that meet their individual needs. We aim to build long lasting relationships with our customers that add true value to their business. Working closely with the designers and manufacturers, we know the most efficient and cost effective methods when it comes to equipment installation, service and maintenance. You will receive fast, friendly service – but more importantly you’ll speak to the people who have the technical expertise to keep your unit in best working order. 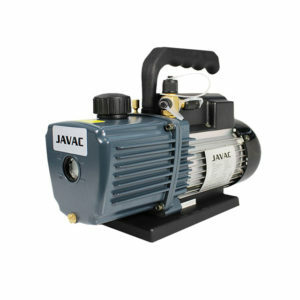 If you have HVAC or Vacuum equipment that you purchased from an outside supplier that needs repairing, chances are HVACTOOLS can fix it for you. We offer you full customer service and support both before and after your purchase. You can contact our friendly team of experts for information about your products, installation or technical advice on 0800 483353 or email on info@hvactools.co.nz. We offer a 100% guarantee. If you are not happy with your product, contact us for a “Returns Authorisation Number” within 30 days of the date of purchase, in the original packaging and condition supplied, and we will replace it for you. You’ll get free fast courier delivery anyway in New Zealand.